Growing up, my dad was my hero. He was larger than life and he was a role model to me. My dad was an Air Force pilot and flew jets and we grew up living on bases most of my life and I moved about 14 times before I was halfway through high school. People always ask, was it hard? It wasn't to me because I knew what my dad did was important - his job was to protect our country and our freedom. 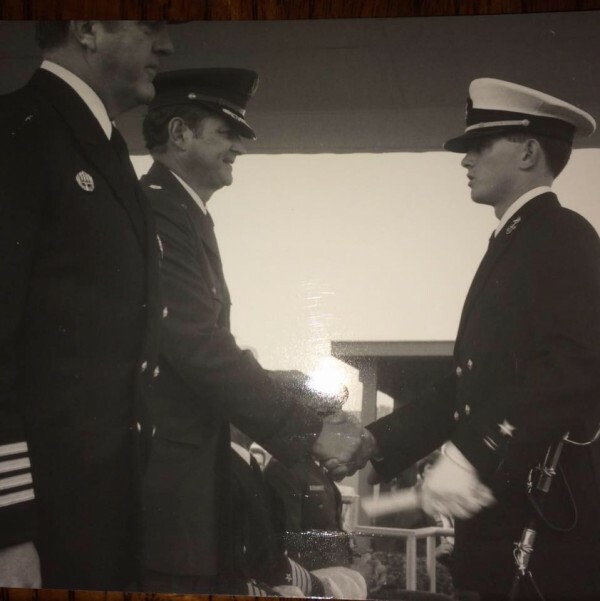 My brother joined the Navy after college, feeling the need to serve our country and this is a picture of my dad and my brother when he was commissioned into the Navy. Two of my favorite veterans! Thank you to all who have served or who are serving for the sacrifices you make to serve and protect our freedom. Also thanks to the military spouses who are just as important, serving as the foundation for the family through moves and deployments.